Senior Correspondent: The government has reduced Tk 10,191 air fares for Haj pilgrims, comparing to the last year’s Tk 138,191, and fixed it Tk 128,000 this year. State Minister for Civil Aviation and Tourism Md Mahbub Ali said at a press conference after an inter-ministerial meeting held at the conference room of his ministry in the city on Thursday. 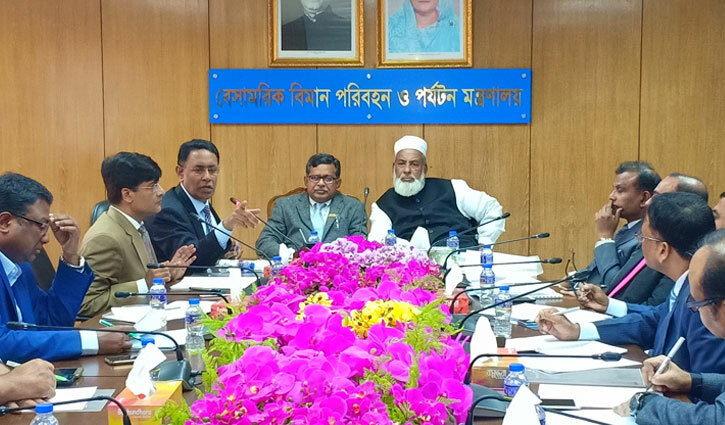 State Minister for Religious Affairs Advocate Sheikh Md Abdullah, Secretary of the Civil Aviation and Tourism Ministry Md Mohibul Haque and Secretary of the Religious Affairs Ministry Md Anisur Rahman attended the meeting among others.